Google showed off dozens of innovations that advance its mission "to organize the world’s information and make it universally accessible and useful." Key themes of this year's Google I/O event in San Francisco include the massive growth in Android and Chrome OS in raw numbers and adoption of APIs, a more unified experience between core Google services, further evolution of its core search, and rapid growth in its cloud resources. On the communications front, Google is pushing to make its free Hangouts service into the unifying interface for real-time voice, video, texting and photo sharing communications. 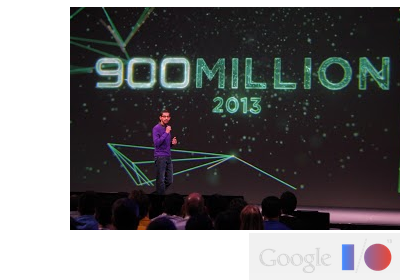 Google has reached 900 million Android activations. New Google+ Hangouts will be the interface for realtime communications across the Google platform. Google says its goal is to get technology out of the way so that people can "just hangout" and not think about the medium of communications, the devices, the platforms, or other factors that get in the way today. Messaging, including voice and video to other Google users and groups of Google users, is a free service. Google circles are used for setting up the call. Launched Google Play Music All Access -- a subscription service featuring extended recommendations, playlists and guidance based on Google analytics. The service is priced at $9.99 per month in the U.S. Key differences with other subscription music services is that Google can leverage personal data from its other services to generate more accurate recommendations. There are now 750 million active users of Chrome and a lot of Chrome growth is coming from mobile devices. Data compression on Chrome for Mobile can save users 50% on their monthly bandwidth usage. The WebP format is about 30% more efficient than JPEG. The VP9 codec offers about a 50% reduction in file size compared to H.264. YouTube will implement VP9 later this year. New Chrome APIs for the mobile web are being released enabling developers to leverage the same resources. Google Play has 48 billion app installs. Google Play Services includes new or enhanced APIs, such as Maps API, Location API, Fused Location API, Geofencing, Google+ Sign-In, Google Cloud Messaging, etc. The company's goal is to get its services widely embedded by third party developers across all device platforms. New Google Play Game Services APIs are being released for connecting multiple devices, playing with friends from Google+, storing scores and playing data, posting on public leaderboards, etc. The Google+ social media service adds 41 features including a new "stream" interface that is about better design and greater depth. This leverages cloud-generated hashtags that Google will insert automatically into posts based on content analysis, location and image analysis. Google Photos is adding many new features that use cloud-analytics to sort photos and enhance images. Google Maps is introducing new discovery and rating capabilities aimed at mobile users. There is a new interface for both mobiles, tablets and desktops that is personalized, offer media-rich experiences, is context-aware, and offers comparative directions with public transport and real time traffic conditions. Google Maps APIs are used by more than one million active sites and apps, and are reaching one billion unique visitors every week. Google's Cloud service has generated tremendous interest, said Urs Hölzle, Google's senior vice president for technical infrastructure, for its VM and storage capabilities. Google Compute Engine (GCE) is now available for open signups in preview. The company is introducing new flexible billing options, including per minute pricing. GCE has increased the maximum size of persistent disks from 1TB to 10 TB. Cloud Datastore has more than doubled in past 11 months and now handles 4.5 trillion requests per month. Google's App Engine now has 3 million active apps running. Google is now adding PHP to its App Engine. This provides the ability to run WordPress sites in the Google cloud. Google can scale to multiple instances in under a second. Google Compute Engine now supports software-defined routing capabilities. This might be useful for configuring VM instances to function as gateways, configuring VPN servers and building applications that span a local network and Google’s cloud. Google cited its pioneering SDN implementation on its own network. Google Compute Engine now has ISO 27001 Certification. App Engine and Cloud Storage have also been certified. 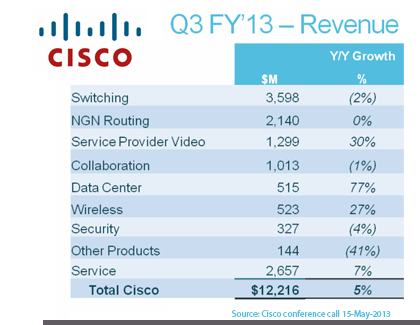 Cisco reported third quarter net sales of $12.2 billion, net income on a generally accepted accounting principles (GAAP) basis of $2.5 billion or $0.46 per share, and non-GAAP net income of $2.7 billion or $0.51 per share. Ninth consecutive quarter of record revenue and non-GAAP net income. John Chambers said the company is planning for slow, steady recovery in the U.S. and elsewhere. The book-to-bill ratio is approximately 1. The European Commission is considering an anti-dumping and an anti-subsidy investigation concerning imports of mobile telecommunications networks and their essential elements from China. Products that could be included consist of radio access network elements and mobile network core platforms. The EC said its has not yet launched the investigation in order to allow time for negotiations towards an amicable solution with the Chinese authorities. China exports telecommunication network equipment to the EU market with a value of approximately just over 1 billion euros per year. 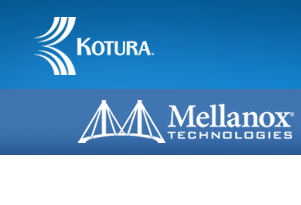 Mellanox Technologies agreed to acquire privately held Kotura, a developer of advanced silicon photonics optical interconnect technology, for a total cash purchase price of approximately $82 million. Both the Mellanox and Kotura boards of directors have approved the deal. Kotura holds over 120 granted or pending patents in CMOS photonics and packaging design. The company has made a number of ground breaking innovations in optical interconnects by integrating multiple high speed active and passive optical functions onto a silicon chip. The company is based in Monterey Park, California. Mellanox said the acquisition enhances its ability to deliver cost-effective, high-speed networks with next generation optical connectivity for servers and storage systems. “Operating networks at 100 Gigabit per second rates and higher requires careful integration between all parts of the network. We believe that silicon photonics is an important component in the development of 100 Gigabit InfiniBand and Ethernet solutions, and that owning and controlling the technology will allow us to develop the best, most reliable solution for our customers,” said Eyal Waldman, president, CEO and chairman of Mellanox Technologies. 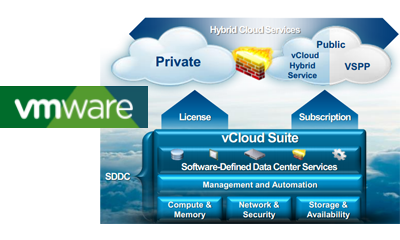 VMware is aiming to extend virtualization to all areas of the data center – network, security, storage and management. Specifically, the company will merge its VMware vCloud Networking and Security product line with the Nicira Network Virtualization Platform (NVP) into a single product family based on a common technology foundation, to be named VMware NSX. VMware NSX will extend network virtualization across VMware and non-VMware hypervisors and cloud management systems, as well as any underlying networking hardware. Additionally, VMware NSX will provide an open framework for the integration of ecosystem services for networking and security. 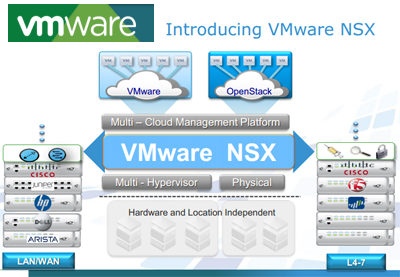 VMware NSX is expected to launch in the second half of 2013. VMware plans to extend the software-defined data center with a hybrid cloud service offering that will allow its customers to reap the benefits of the public cloud without changing their existing applications while using a common management, orchestration, networking and security model. A new VMware vCloud Hybrid Service is expected to launch later this year through the company's existing channels and partner ecosystem. 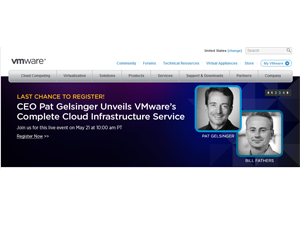 VMware has created a new Hybrid Cloud Services business unit, to be headed by Bill Fathers, who joins VMwarefrom Savvis, where he most recently served as President overseeing sales, marketing, product development, global operations and all corporate functions in North America, Europe and Asia. A newly released VMware Horizon Suite for workforce mobility uses virtualization to transform silos of data, applications and desktops into centralized IT services that can be provisioned, managed and delivered to end-users on the devices of their choice. The product was introduced last month. The fourth Global Positioning System (GPS) IIF-4 satellite for the U.S. Air Force was successfully launched from Cape Canaveral aboard a United Launch Alliance (ULA) Atlas V rocket. GPS IIF-4 is the fourth in a series of next generation GPS satellites and will join a worldwide timing and navigation system utilizing 24 satellites in six different planes, with a minimum of four satellites per plane positioned in orbit approximately 11,000 miles above the Earth's surface. 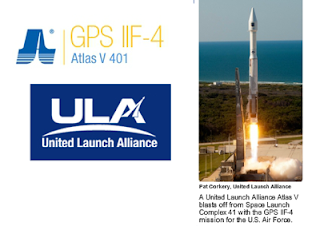 The GPS IIF series provides improved accuracy and enhanced performance for GPS users. Stéphane Richard, Chairman and CEO of Orange, welcomed the first six finalists selected by the new Orange Fab, a three-month accelerator program that supports U.S.-based start-ups. "As a global provider of high quality connectivity, data, and content, Orange has maintained during the last 12 years a history of close engagement with Silicon Valley" noted Elie Girard, EVP - Group Strategy and Development. "Orange Fab is the logical next platform for that engagement, since accelerators have become a strategic component of technologies discovery and adoption. 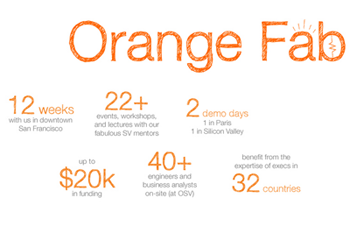 This experience will also inspire accelerators Orange could launch in France and in Europe." Orange Fab will conduct mentoring sessions with notable Silicon Valley entrepreneurs, world-class engineers, and experienced designers. Along with the possibility of receiving $20,000 in funding, the start-ups will have the option to work out of Orange Silicon Valley's offices in San Francisco. The program will culminate with two demo days, one in Paris in June and one in Silicon Valley in August. The recruitment of the next class of Orange Fab will start in the fall of 2013. Acacia Communications raised $20 million in new venture funding for its coherent OIF-compliant AC100 modules. Acacia designs, manufactures and sells leading-edge optical transponder modules for coherent 100G and above. The company is headquartered in Maynard MA and has an office in Hazlet, New Jersey. It was founded by Mehrdad Givehchi, Benny Mikkelsen and Christian Rasmussen. Summit Partners served as the lead investor, with existing investors Matrix Partners, Commonwealth Capital Ventures and Egan Managed Capital also participating in the round. Etihad Etisalat (Mobily) has selected Ericsson's SSR 8000 family of Smart Service Routers to upgrade its Evolved Packet Core (EPC) networks in western region of the Kingdom of Saudi Arabia. Financial terms were not disclosed. The deployment will support LTE and prepare the network for Voice over LTE. As part of the agreement, Ericsson will also provide systems integration, design and managed services, extending the scope of the existing managed services partnership with Mobily, which started in 2005. 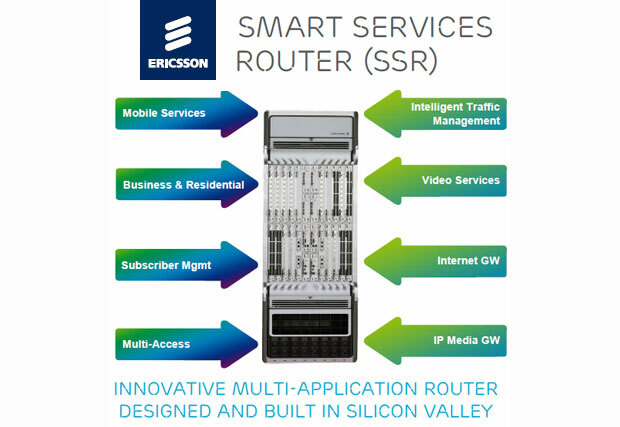 Ericsson noted that it now has 51 contracts for the SSR 8000 family of Smart Service Routers. Deutsche Telekom awarded a long-term contract to NetCracker for the ongoing support and maintenance of the billing solution for its fixed network in Germany. In addition, DT is using NetCracker’s Telecom Operations and Management Solutions (TOMS) suite to provide an end-to-end, next-generation solution that encompasses Order Management and OSS. Leveraging these NetCracker solutions and services enables DT to support new business models and reduce costs. Financial terms were not disclosed. DT first incorporated NetCracker’s TOMS solution as part of its OSS architecture transformation that emphasized simplification and automation of the operations and management of its next-generation network.